Sole Trader or Limted Company? What is best for my business? It is recommended that you get advice specific to your circumstances when it comes to the decision of your business structure. Transform Accounting can review your circumstances and work out a specific projection for you. The following are some of the aspects which need to be considered. Status – Sole trader or partnership. Any financial or business affairs are kept private so that competitors cannot have insight into the success of your business. Liability – As a sole trader, you have unlimited liability, which means you are solely accountable for any debts your business may have and the risk is yours if you cannot pay the business debts. In a partnership you are both jointly and severally liable for the debts of the partnership. Taxation of profits – All profits subject to income tax at basic/higher and additional rates. Payment of tax – Payments on account 31 January in tax year, 31 July following tax year end. Balance 31 January following tax year end. Losses – Use of losses is more flexible eg. Losses in the first four tax years of trade can be set against total income of the previous three years. Exit Strategy – Disposal of business as a going concern and cease to trade. Disposal of separate assets and cease to trade. Simply cease to trade. Disposal of business – Disposal of each individual asset for capital gains tax purposes. Entrepreneurs’ relief may be available. Status – Corporate body, regulated by law. Registration and filing requirements. Separate legal entity, capable of entering contracts and owing property. Liability – Shareholders will have limited liability and are not personally liable for company’s debts. Except in cases where personal guarantees have been given, your personal assets will not be used to pay the debts of the company. Taxation of profits – Profits of the company are subject to corporation tax, at the small profits rate/marginal/main rate. Extracted profits subject to income tax in the hands of the shareholders. Gains on the sale of shares subject to Capital Gains Tax for individual shareholders. Payment of tax – Operate PAYE on employment income, payable monthly. Corporation tax payable 9 months + 1 day after accounting period end if not paying tax at the main rate. 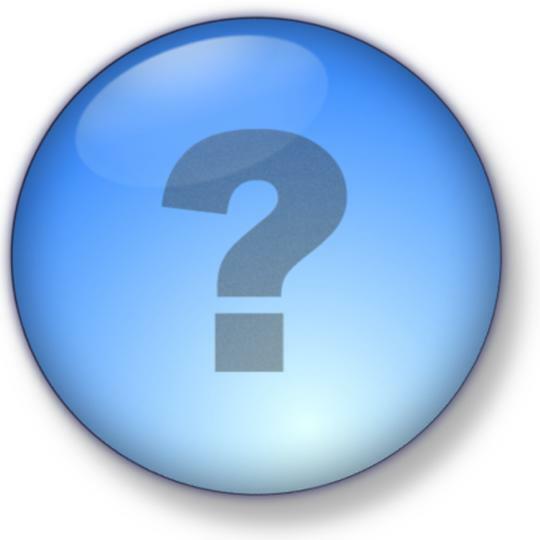 Pension – Company can contribute to a personal pension scheme and/or an occupational pension scheme. Losses – Use of losses is against total profits of the current year and prior year and then carried forward against trading profits only. Disposal of assests – owned by the company will be subject to corporation tax. If the funds are then extracted they will be subject to tax again in the hands of the individual shareholder i.e. double taxation charge. Exit Strategy -Sell shares back to company. Sell shares to a third party. Solvent liquidation. Insolvent liquidation. Disposal of business – Disposal of shares by individual shareholders is subject subject to capital gains tax. Entrepreneurs’ relief may be available. And finally there is my favourite category – the exposé – a book that relies on research and investigative journalism to give you the inside story. This is where the crime, corruption and incompetence comes in, with a little greed thrown in for good measure. These are my favourite type of books – read on for the countdown from number 10 to number 1. 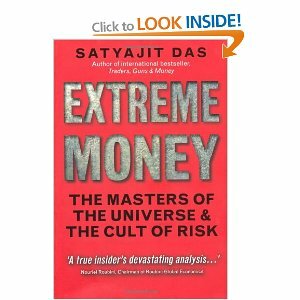 Author Satyajit Das (or Das as he is known) is without doubt one of the most knowledgeable and intelligent men in modern finance, yet with a talent for taking some very complex ideas and being able to explain them in a clear and concise manner. He manages to write in an entertaining style and despite Extreme Money being a lengthy read, if you wish to gain an thorough understanding of modern finance and financial engineering then this is a great place to start. Das is a popular guest on the weekly finance podcast – “The Disciplined Investor with Andrew Horowitz” which can be found on Itunes and his blog at economonitor.com is always a great read. “Once upon a time, human society built things. We engineered beautiful objects and created authentic goods. Now this real industrial engineering has been replaced by financial engineering: shuffling money in an endless process of debt, trading and speculation. Extreme money tells the story of spectacular and dangerous money games and those elite bankers, traders and financiers, the so called ‘Masters of the Universe’, who continue to play them. Bestselling author Satyajit Das draws on 33 years of personal experience at the heart of modern global finance to narrate this story. Ponzi prosperity, sophistication, and wealth—while endangering the jobs, possessions, and futures of virtually everyone outside the financial industry. and how a new generation of “Masters of the Universe” have come to dominate the world. 2011’s Top 25 Worst Passwords of the Year – Is yours among them? It may come as no surprise that “password” came top in the 2011’s worst passwords league table as published by SplashData – a leading provider of password software. But those who switch the “o” to a zero to make it “passw0rd” didn’t fare much better at 18th in the table. There have been many well publicised security breaches in recent years and in many cases the hackers have published the stolen data on line. Splash data have analysed this information to compile its league table. Hackers can easily break into many accounts just by repeatedly trying common passwords. Many people continue to ignore advice to use secure, strong passwords and continue to use weak, easy-to-guess ones, placing themselves at risk from fraud and identity theft. Weak passwords could include simple numerical choices like “12345”or simple letter and number combinations such as “abc123”. Other weak password choices include patterns based on the keyboard such as “qwerty” or popular names such as “michael” or “bailey”. 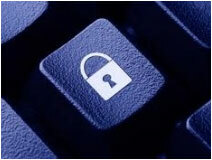 A few of the most common cracked passwords such as “monkey”, “dragon” or “sunshine” were more of a surprise. Do you use any of the following easy to crack passwords? Use passwords of eight characters or more with mixed types of characters. One way to create longer, more secure passwords that are easy to remember is to use short words with spaces or other characters separating them. For example, “eat cake at 8!” or “car_park_city?” Avoid using the same username/password combination for multiple websites. Especially risky is using the same password for entertainment sites that you do for online email, social networking, and financial services. Use different passwords for each new website or service you sign up for. Having trouble remembering all those different passwords? Try using a password manager application that organizes and protects passwords and can automatically log you into websites. Transform Accounting recommend the use of a company with a strong track record of reliability and security like SplashID Safe, which has a 10 year history and over 1 million users. SplashID Safe has versions available for Windows and Mac as well as smartphones and tablet devices. It’s easy to start making your passwords better – Start now; make it a resolution to keep it up and your whole life online will safer and more secure. Transform Accounting are able to offer support and advice on all aspects of financial systems. Authors John Gapper and Nicholas Denton were both journalists working for London’s Financial Times newspaper at the time of the collapse of Barings – Britains oldest merchant bank, brought about by “Rogue Trader” Nick Leeson. 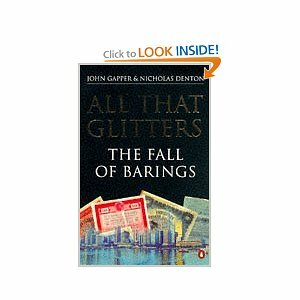 “All that Glitters” is a comprehensive account of the history of Barings bank and its collapse. It delivers great insight into the history, formation and changes in the company and the characters who played a key role in the development of the bank. By taking this route, the authors give us a fasciniating insight into the political power struggles and clashing relationships at board level at the time of its demise. Poor management control at the most senior level left the bank vulnerable and when the small futures trading team, led by Nick Leeson in Singapore incurred huge losses, this resulted in the total collapse of Barings. Whilst a book that goes into great detail about the collapse could have the potential to be a difficult read, the journalistic writing style of the authors maintains a fascinating and entertaining read – highly recommended. it was two Financial Times journalists who discovered crucial details about Nick Leeson’s secret account and the rescue talks with the Sultan of Brunai. In this superb book they tell the full story. where young and thrusting children of the Thatcher revolution were storming into new markets and generating unprecedented profits. Communication and lines of accountability eventually became so confused that directors earning huge bonuses blindly transferred £700 million into Leeson’s black hole. Italy’s fight against tax evasion has taken on a new style in the last few weeks. Italian tax inspectors are well known for their attire. 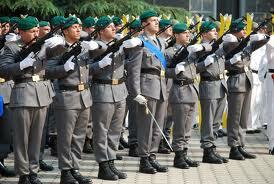 Instead of the dull grey pinstripes of their British counterparts, the Italian “Guardia di Finanza” usually adopt military style grey uniforms with gold braiding. However, for their latest crackdown, these uniforms have been swapped for beach shorts and sunglasses as they investigate the beach hire businesses on the Rimini shoreline. These businesses have long been suspected of collecting cash from sun worshippers for the hire of loungers and umbrellas, failing to issue receipts as required by Italian law, and then running over the border into the tax haven of San Marino to bank the takings. In Rimini, 15 out of 36 were discovered to be evading tax in this way. In a similar exercise carried out at beach resorts near Rome, 62 out of 95 operators were found to be carrying out the same style of tax evasion. The new Italian Prime Minister Mario Monti has recently declared war on Italian tax evaders in an attempt to tackle the country’s national debt of nearly 2 trillion euro. So, if you head to Italy on holiday, watch out for Italian tax inspectors in disguise. I’m not sure the beach shorts, shades and suntans will ever catch on with the ladies and gentlemen of the UK’s HMRC though. This is where the crime, corruption and incompetence come in, with a little greed thrown in for good measure. Enron – the Texas based Energy company was one of the biggest business and accounting scandals in US history. Enron went from being one the biggest business success stories in the last 30 years into bankruptcy and jail for senior staff members. It is also considered to be the biggest audit failure in recent history and resulted in the dissolution of Enron’s auditors and accountants Arthur Anderson – previously the 5th largest global accountancy firm. 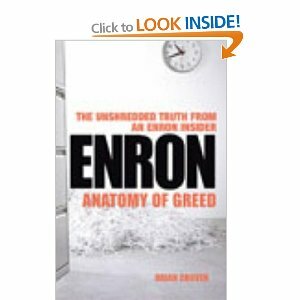 “Enron – Anatomy of Greed” is written by an insider – Brian Cruver – a graduate trainee recruited into Enron just before things started to go wrong. He gives a fascinating insight into just what it was like to work for Enron, and how this changed when the story of their corruption began to break and then developed into eventual bankruptcy. The human side of an employee in this situation is what is so fascinating as well as the background he gives us as to the cause of the Enron collapse – highly recommended. “Brian Cruver was a first-hand witness to the disturbing, surreal and hilarious moments of Enron’s long dance with death. young, brash, obscenely overpaid and sporting a brand-new MBA. he found himself in the middle of a venal greed machine whose story unfolded with Kafka-esque absurdity and frustration. and in a special section, how the grossly lucrative fraudulent partnerships were structured and funded – as well as everyday life as an Enronian. and the insidious group- think that made Enron employees unquestioningly accept propaganda spoon-fed to them by Ken Lay and Jeffrey Skilling. Cheap BMW Anyone? What will happen to the 3,000 BMW’s used for the Olympics? For anyone who travelled anywhere near the Olympic games during July and August, you can’t have missed the fleets of gleaming brand new BMW cars used to transport the athletes and VIP’s around London. The fleet was largely made up of the most efficient 320d and 520d models which are very popular in the UK. But just what will happen to all those cars once the games are over ? Will we see a flood of nearly new cars for sale at bargain prices to Londoners ? 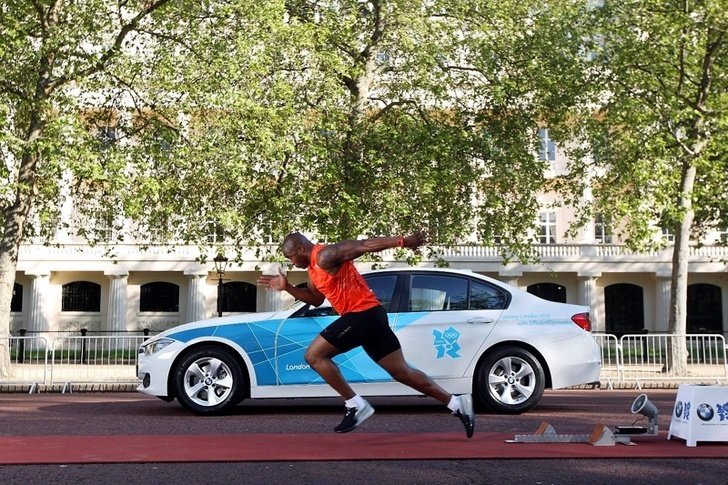 All of the cars used during the Olympic games are going to be returned to BMW UK. So, unless you are lucky enough to be a member of this list of individuals, it looks like there will be no bargains for London residents.